A & R Aviation is a proudly Australian owned and operated business. A and R Aviation strives to be a leader in aviation maintenance solutions, extending our services across general aviation, fixed wing and helicopters, charter operators and also with major regional airlines. The broad capabilities provided by A and R Aviation include maintenance, inspections, repair and overhaul along with worldwide sales and support. While our base is in Australia, A&R Aviation can help you wherever you are around the world. Aviation is a global industry, and we service it wherever we are required. Contact us today to discuss how we may be able to help you, wherever you are. We regularly travel all over Australia and overseas for the convenience of our customers, supporting all facets of the industry that we know and love. A and R Aviation Australia offer base and line maintenance from our two maintenance bases and at numerous 'temporary locations' wherever our clients need us. Our low overheads and commitment to our customers help minimise aircraft downtime and reduce costs while delivering quality engineering solutions, without compromising quality and aircraft safety. Our team can undertake emergency AOG repairs locally or fly out to you, wherever you are. Our field service further extends our availability. For more information on how we can help you, give us a call or email to discuss travel arrangements and your unique requirements. We currently offer fixed base maintenance services at Jandakot Airport in Perth, WA and Charters Towers Airport in North QLD. 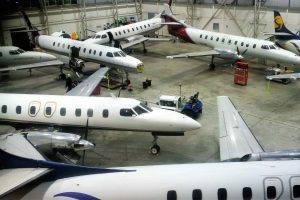 A&R Aviation are also in the process of building a new, modern, sales, maintenance and manufacturing facility based at Busselton-Margaret River Regional Airport in the beautiful South-West Region of Western Australia.